The first dedicated solar panel recycling facility in Europe has been opened by environmental services company Veolia in Rousset, France. It’s expected the facility will recover 1,300 tonnes of material in its first year and up to 4,000 tonnes by 2022. According to a report on Climate Action Programme, Veolia’s initial contract with PV-Cycle will see the company recycling almost all of the current end-of-life solar panels in France this year. While thin film panels won’t be recycled at the facility, these make up a very small percentage of France’s installed capacity. 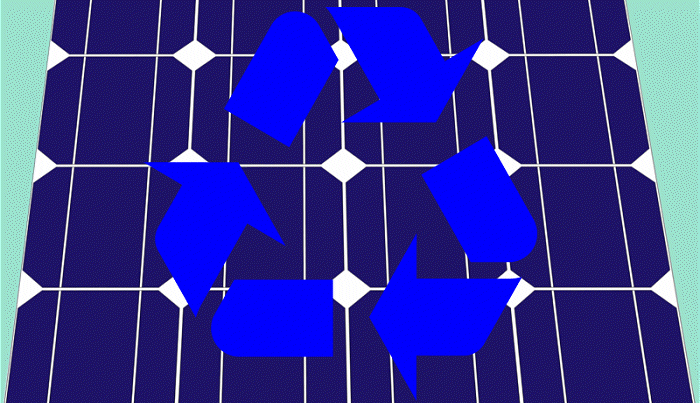 Around 96% of a monocrystalline or polycrystalline solar panel’s weight can be recycled. By weight, a crystalline solar panel consists of approximate 76% glass, 10% polymer, 8% aluminium , 5% silicon, 1% copper and < 0.1% silver and other metals. It’s great to see projects like this coming to fruition, particularly given it’s estimated there will be between 60-78 million tonnes of PV panel waste globally by 2050 (cumulative). As we mentioned last year, solar panel recycling is a multi-billion dollar opportunity as well as being environmentally responsible. What About Solar Panel Recycling In Australia? With far more solar panels on Australian rooftops than there are people in the country, the recycling of solar panels here will become a more pressing issue in the years ahead. 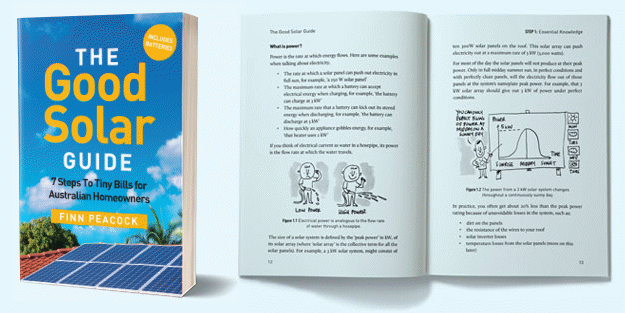 While many of the panels installed when Australia’s solar revolution started to really kick off have years of life left in them, some modules in poor quality systems have and will continue to fail as part of the high cost of very cheap solar. Added to the waste stream in the decades ahead will be solar panels from large solar farms springing up around the country and from systems with functioning panels that are upgraded and owners choose to discard the old modules. There doesn’t appear to have been any recent news from Reclaim PV Recycling, Australia’s only module recycler. The company’s web site still states its goal is to develop a viable and streamlined system to enable the reclaiming of components contained in solar panels. A couple of years ago it said it was working with manufacturers including SunPower, Canadian Solar, Suntech, ReneSola and Yingli; with others to come on board. Perhaps Veolia may turn its attention to Australia at some point as the company already has a significant presence here in other areas. Among its upcoming projects in Australia is the installation of thousands of solar panels and a giant “water battery” at the University of the Sunshine Coast’s Sippy Downs Campus in Queensland. Veolia also has a waste-to-energy plant in Sydney, which takes waste from Sydney Markets. Australian solar power supporters may need to band together to push the issue of solar panel recycling to ensure adequate systems are in place by the time PV waste volume really starts to crank up.